Leading experts and representatives of the industry will present from today until Thursday the latest product developments and innovative processes in the conference programmes of Pumps & Valves and Maintenance. “Internationalisation of Innovation: experience of the engineering sector” is title of PUMPS & VALVES talks in which companies like Worley Parson, Amec Foster Wheeler, Técnicas Reunidas, ITAC, Idom, Gas Natural, KPMG and Sener, among others, have started to participate today. The second day will focus on more technical questions with speakers from ISA, Tetra Pak and ABB. In addition, in the conference programme of MAINTENANCE, Information Technologies – Predictive Maintenance, an essential element for smart manufacturing, will occupy a key place. Indeed, industry today is strongly conditioned by the need to use the installed machinery efficiently and increase maintenance activities to higher levels. Furthermore, it will also address new business models arising in the field of maintenance, which are related to trends such as the provision of additional services and outsourcing. 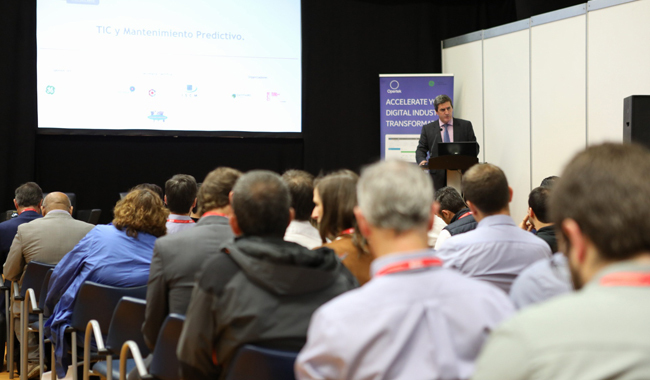 Among the speakers, representatives from Iberia, SKF, Acciona Energía, TMB Metro Barcelona and GE Digital can be highlighted.